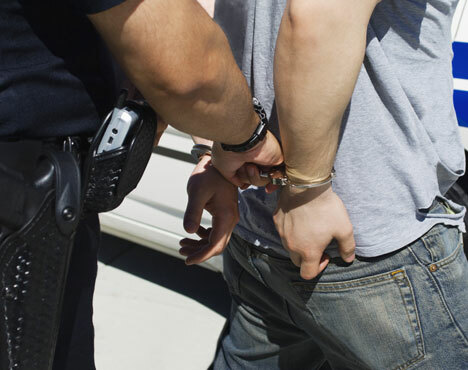 By law, after an arrest for domestic violence, you may be prohibited from contacting your family, returning home, or possessing firearms. At Stout Defense, P.A., you will receive help to minimize the impact of these restrictions on your life. Domestic violence has been an increasingly common topic in the news. Media coverage has increased awareness of this subject and placed political pressure on reducing the rate of domestic violence. This has led to a hyperactive response by the criminal justice system. As a result, even false allegations are viewed very seriously by the state and law enforcement. If you've been charged with a crime of domestic violence, you don't need to face these charges alone. Instead, contact Gainesville criminal defense lawyer Adam Stout with the law firm Stout Defense, P.A. for representation and assistance in bringing the truth to light. Why Choose Stout Defense, P.A.? Adam Stout is a criminal defense attorney who represents clients accused of domestic violence offenses. He began his career prosecuting domestic violence crimes for the Miami-Dade State Attorney's Office. During his first year, Adam handled more than 600 domestic violence cases. He prosecuted just as many the following year, all while supervising three to six domestic violence prosecutors at any given time. Adam was charged with training those attorneys, teaching them how to build a case and showing them how to try those cases before a jury. Whether you've been charged with an assault, battery, stalking or a violation of an injunction, felony or misdemeanor, Adam has what it takes to provide strong and aggressive legal representation on your behalf. Being an experienced prosecutor, he knows which tactics the other side might use and how to defend against them. Act now and obtain your free consultation with Adam over the phone. 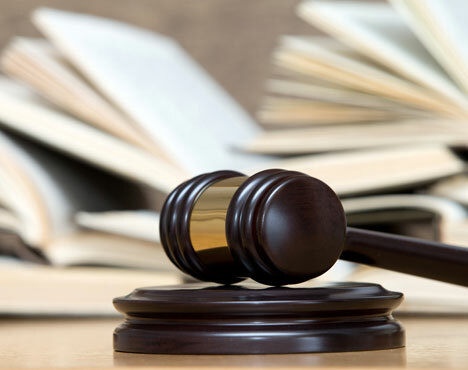 At Stout Defense, P.A., you can always speak directly with an attorney as Adam personally handles each case. What Makes Domestic Violence Crimes Different? Allegations of domestic violence can quickly get out of hand. These situations have high consequences, and police officers are forced to make significant choices based on small amounts of evidence. In some cases, this involves a he-said, she-said scenario. Law enforcement has the tough task of making snap decisions in these instances, and the reality is that sometimes the police get it wrong. This can lead to the arrest of an innocent person. By law, after an arrest for domestic violence, the accused is sometimes prohibited from contacting his or her own family or returning home. Sometimes, the accused will even be required to wear a GPS tracker so that law enforcement always knows his or her whereabouts. All of the above cause financial strain and emotional suffering on the part of the accused. At Stout Defense, P.A., you will receive help to minimize the impact of these restrictions on your life. If you are convicted of an act of domestic violence, the consequences are severe. They can include possible jail time, and if you are not a citizen of the United States, you could be deported. Additionally, if you own firearms, you will have to relinquish possession of those weapons during the pendency of your case. And if you’re convicted, your concealed weapons permit may be taken away. Arguably, the worst consequence may be the social stigma attached to someone who has been convicted of a crime of domestic violence. This can lead to loss of employment opportunities and loss of respect in the community. For these reasons, obtaining a qualified domestic violence attorney in Gainesville, FL is important if you want to minimize the effect of these charges on the rest of your life. If you have been charged with assault, battery, violation of an injunction or any other domestic violence-related crime, you need a defense attorney with experience handling these types of cases. During his legal career, Adam Stout has handled more than 1,000 cases involving domestic violence. His experience and expertise in this area are what set him apart from other defense attorneys. No matter how hopeless your position might seem, Adam will work hard to make sure your voice is heard. Whether you’ve been charged with a felony or misdemeanor, Adam has what it takes to provide strong and aggressive legal representation on your behalf. If you want to minimize the impact of domestic violence charges on your life, immediately contact Adam as Stout Defense, P.A. He will lead you through the process of handling your case, help you get back on track, and without hesitation, defend your freedoms. One mistake can lead to a lifetime of bad consequences. Mistakes are human, and it's Adam's job to sort them out. He is available 24/7 for a free criminal defense consultation. "Adam is a expert in his field. From the very start Adam had my best interest in mind. Took care of anything I needed legally. Ultimately I receive a conclusion that he had said I would. I couldn't be happier with Adam professionalism and expertise in my case. If further matters arise I will keep Adam as my lawyer. I would recommend Adam to anyone that is in need of advice or council. Overall the best of the best." Share This Review: – R.Y. "Unfortunately I found myself in need of a lawyers services... Mr. Stout was recommended to me from a trusted source of business networking...I could not be happier about my choice... I have been updated on my progress thoroughly and even before I have asked...I've been enlightened on multiple options in my situation and feel I have a real open line of communication with Mr. Stout as he promised I would and has lived up to it above and beyond expectations... Thank you so much for your service Adam I truly appreciate everything you've done for me." Share This Review: – B.S.